Social entrepreneur Alfa Demmellash may be a married mother of two, but she knows the plight of single mothers intimately. 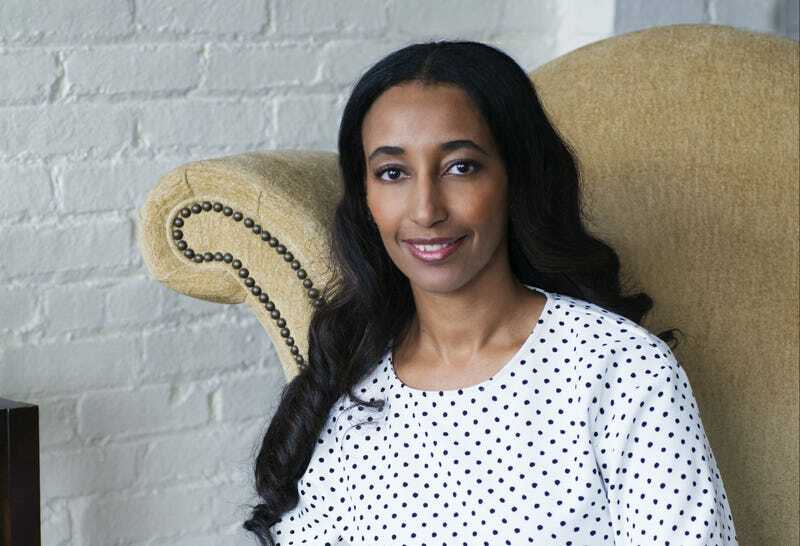 Raised in part by a single mother in her native Ethiopia at the height of the devastating Derg regime, Demmellash—who escaped violence that killed family members when she immigrated to the United States at age 12—will never forget how her mother struggled not just to protect her but to provide for her as a talented and hardworking but resourceless entrepreneur. It inspired Demmellash and her husband, Alex Forrester, to launch Rising Tide Capital, a New Jersey-based nonprofit whose mission is to assist struggling individuals and communities in building strong businesses. Rising Tide Capital’s programs focus on helping entrepreneurs start, sustain and grow businesses through intensive business-management training, ongoing coaching and mentoring, assistance with accessing financing, and opportunities to win financial grants through its Start Something Challenge, an annual business-pitch competition. “I was inspired to start [RTC] because of my mother, who worked as a waitress during the day and made beautiful dresses and gowns at night to make ends meet,” says Demmellash, once championed by President Barack Obama for her work and named a 2009 CNN Hero as well as one of Forbes’ Most Powerful Women Changing the World in 2012. “I remember trying to get her to formalize her sewing business, but she was intimidated by the process of creating a business plan and trying to get a bank loan. There are many women and men like my mother with successful side hustles, who lack access to support networks, educational resources or capital. “Through Rising Tide we offer programs such as our Community Business Academy, Business Acceleration Services, Credit to Capital and the Start Something Challenge to help people, like my mother, gain the tools they need to transform their side businesses into sustainable and profitable ventures,” she says. So who does Rising Tide Capital work with? With the help of philanthropists like multibillionaire Warren Buffett’s son Peter, who is co-president of the NoVo Foundation, Demmellash plans to expand the program nationwide. Knowing they’re onto something makes Demmellash that much more motivated to serve. To participate in Rising Tide Capital’s Community Business Academy, you must be over 18 years old with an idea or talent that you would like to grow into a viable business, and have some experience in the industry in which you want to grow your business. You also need to be able to travel to New Jersey or Chicago for classes.